You expect that your acne medications will make you dry; you accept the fact that they might make you peel. But did you know that many acne medications also make you more sensitive to the sun? It's true. Photosensitivity is the technical term for increased sensitivity of the skin to UV light. Photosensitivity is sometimes called sun sensitivity. Whichever term you use, photosensitive skin is more susceptible to the ultraviolet rays than normal. Photosensitized skin will burn, and possibly blister, when exposed to the sun or other UV rays, like tanning beds. But it's not just sunburn. Photosensitizers can cause an itchy rash, scaly bumps, or other red, inflamed irritation too. You may also notice changes in your skin's pigmentation, as darker (or lighter) spots and splotches. Photosensitivity can be caused by a host of different things: perfumes, plants, and fruits (citrus are common ones) and certain topical an oral medications, including those used to treat acne. Many acne medications can cause photosensitivity. While using them, your skin is more likely to burn, even if you typically don't. And these burns can be much more severe than a run-of-the-mill sunburn—think blistering and peeling. It's important to know that simply using these medications doesn't automatically mean you'll burn to a crisp in the sun. But it absolutely raises the risk of sunburn, so make sure you adequately protect yourself from the sun's damaging rays. Before heading outside, check to see if your acne medication is on the list. Topical retinoids are often prescribed to treat acne, and they're one of the worst photosensitizing offenders. Topical retinoids include the medications Retin-A (tretinoin), Retin-A Micro, Differin, and Tazorac. Also includes medications that contain a topical retinoid like Ziana and Epiduo. It doesn't matter if it's a prescription benzoyl peroxide medication (like BenzaClin or Onexton) or an over-the-counter product you picked up at the drug store. Benzoyl peroxide can cause photosensitivity too. A plethora of anti-blemish skin care products contain benzoyl peroxide, so make sure you check the active ingredients of the acne treatment products on your shelf. It's not just topical medications that can make you more sensitive to the sun. Certain oral medications, like oral antibiotics, can do the same. Doxycycline is the most likely to cause photosensitivity, but tetracycline, minocycline, and erythromycin can too. Isotretinoin is arguably the best treatment we have for severe acne. It does come with possible side effects, including photosensitivity. Your dermatologist will go over all potential side effects with you, and how to best manage them. These are also OTC ingredients that are not only found in anti-blemish skin care products but in anti-aging and skin brightening products too. Look for alpha hydroxy acid, lactic acid, tartaric acid, or glycolic acid in the ingredient list. But acne medications aren't the only culprits that cause photosensitivity. Certain acne treatment procedures can also increase your skin's sensitivity to the sun. This includes microdermabrasion, chemical peels, and some laser treatments. Protecting your skin from the sun's rays is always important, but it becomes even more so when your acne treatments cause photosensitivity. These tips will help you do so. 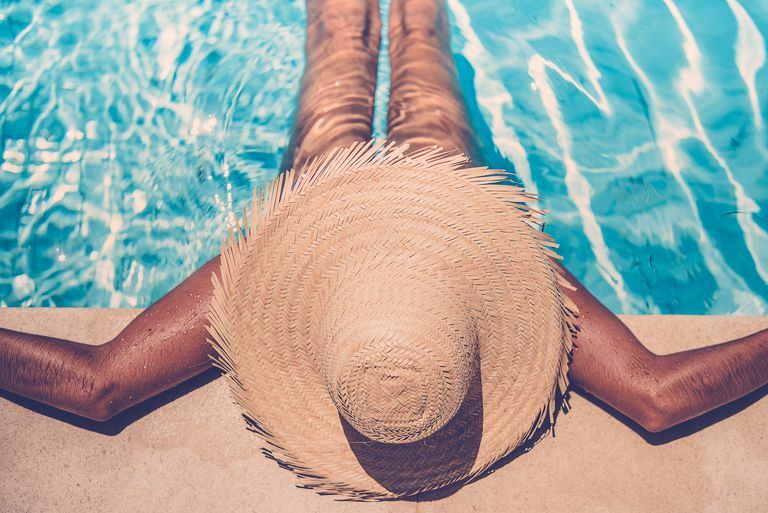 The best thing you can do to protect your skin from the sun is to wear a broad-spectrum sunscreen, with an SPF of at least 30, every single day. Choose a brand that is labeled oil-free and noncomedogenic or non-acnegenic, so it is less likely to trigger breakouts. Applying your sunscreen correctly will ensure you get the protection you need. Put your topical acne medications on first and wait for 20 minutes or so to allow the treatment to dry completely. You can then apply your sunscreen over top. The sun also increases your risk of skin cancer and causes premature aging. So, using sunscreen every day is a skin-healthy habit even if your acne treatment doesn't make your skin more sensitive to the sun. It's a healthy habit for all skin types, really. While using an acne medication that causes photosensitivity, it's a good idea to try to stay out of the sun as much as possible, especially during midday when the sun's rays are at their fiercest. If you're going to be spending the day outdoors at the park, by the lake, or at the beach, make sure you reapply your sunscreen often (every 2 hours, or every 40 minutes when swimming or sweating). For added protection, wear a wide-brimmed hat or sit under an umbrella or in the shade. Tanning beds and booths are off-limits too, during the entire time you're using the medication. Contrary to what the nice technician at the tanning salon will tell you, tanning beds are just as damaging as the sun. They are a source of UV light so they can cause a photosensitizing reaction as well. Photosensitivity reactions can happen quickly, even after just a few minutes of sun exposure so they can take you by surprise. So, you'll definitely want to be proactive in protecting your skin from UV rays. If you've never worn sunscreen before, now's a great time to start. There are plenty of natural sunscreen options, too, if you opt for a synthetic-free product. With a bit of care, you can use your acne medications and keep your skin sun safe too. Zhang, Alexandra Y., MD, and Craig A. Elmets, MD. "Drug-Induced Photosensitivity." Medscape. N.p., 03 Apr. 2017.